Curtis Flowers was tried six times for the same 1996 quadruple murder. For the past 22 years on death row, Curtis Flowers has been adamant about his innocence and convinced deep-seated racial bias by juries may cost him his life. 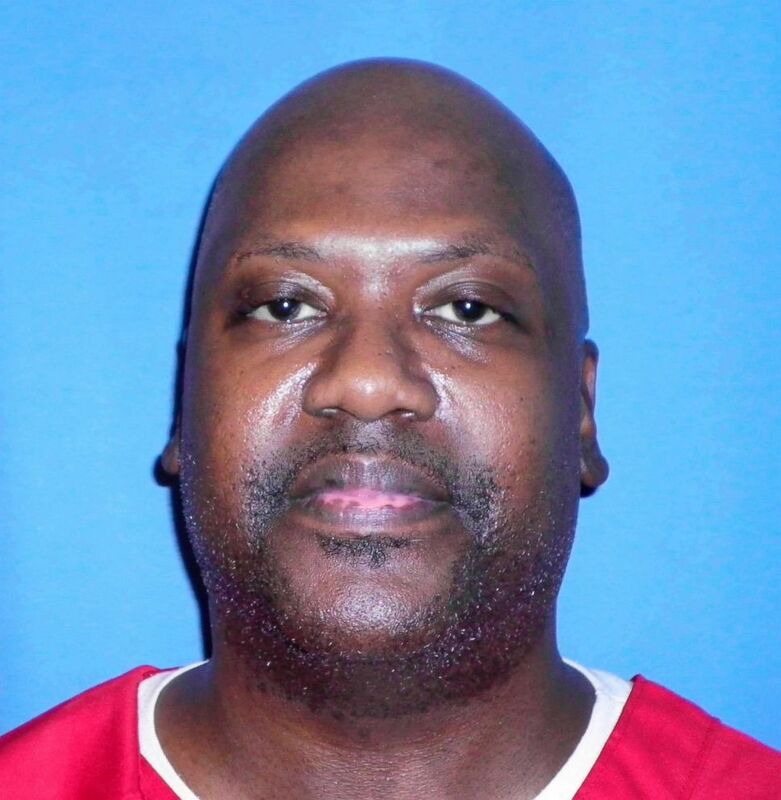 Flowers, who's African-American, was first convicted in 1997 for the 1996 execution-style murders of four people at a furniture store where he used to work. He had no criminal record at the time of his arrest. Prosecutors never found a murder weapon or any physical evidence tying him to the scene. There were no witnesses. The conviction capped an extraordinary legal journey plagued by prosecutorial misconduct, allegations of racism and deadlocked juries. With mistrials and retrials, Flowers faced not one but six separate juries for the same crime. (Mississippi Department of Corrections File via AP) This Aug. 3, 2017 photo provided by Mississippi Department of Corrections shows Curtis Flowers, who's murder case has gone to trial six times. At the heart of Flowers' appeal are allegations that prosecuting District Attorney Doug Evans systematically eliminated prospective black jurors during the selection process because of their race. For decades, prosecutors and defendants have been able to shape the makeup of a jury in criminal cases by employing so-called "peremptory challenges" during the selection process. The tool allows each side to eliminate a number of prospective jurors from the pool for any reason or no reason at all. Rationale, commonly cited, can include a juror's family upbringing, his or her demeanor or even posture in the courtroom. 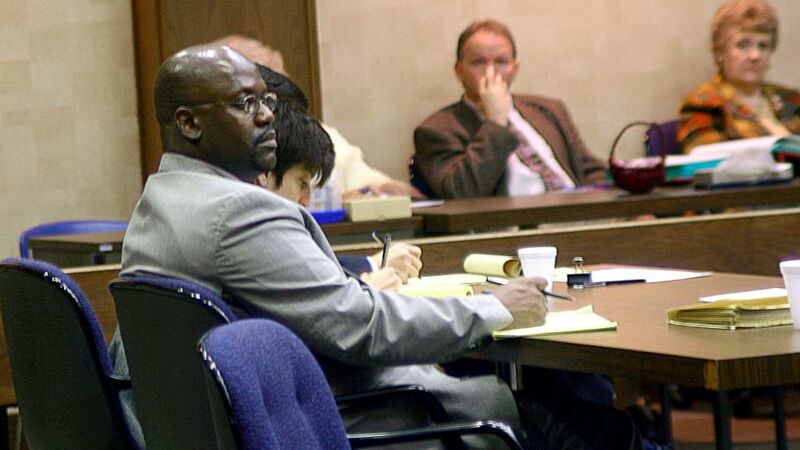 (Dale Gerstenslager/AP, FILE) Curtis Giovanni Flowers, left, listens to testimony in his third capital murder trial in Winona, Miss., Feb. 6, 2004. Flowers wants the court to specifically consider whether the district attorney's use of peremptory challenges in the sixth trial was discriminatory and unconstitutional, particularly in light of his documented history of targeting black prospective jurors. In the third trial, the state's high court overturned the verdict again, calling Evans' conduct during jury selection "as strong a case of racial discrimination as we have ever seen." 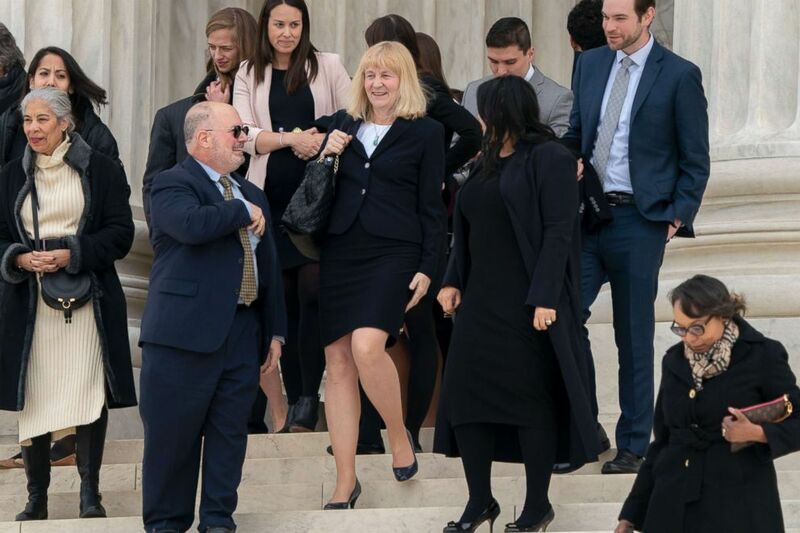 (J. Scott Applewhite/AP) Attorney Sheri Johnson, center, leaves the Supreme Court after challenging a Mississippi prosecutor's decision to keep African-Americans off the jury in the trial of Curtis Flowers, a black death row inmate who has been tried six times for murder, in Washington, March 20, 2019. In 2010, the sixth time Flowers' case was tried, a jury of 11 white jurors and one black juror convicted him and sentenced him to death. On appeal, the Mississippi Supreme Court assessed that Evans' peremptory challenges against black jurors were reasonable and not based on race. "Across the five trials for which the numbers are available, Evans faced a total of 43 black prospective jurors while he had peremptory strikes at his disposal. He struck 41 of them and allowed only one ... to serve," Flowers' legal team writes in court documents. In the sixth trial, the legal team wrote, he removed 83 percent, or 5 out of 6, of the black prospective jurors tendered, but a "mere" 5 percent, or 1 out of 20, white jurors. "Evans had previously won convictions of Flowers only by breaking the rules, and in this sixth trial he broke the rules again," Flowers' team writes in their brief to the high court. "Close examination shows greater cunning, but the same purposeful discrimination on the basis of race." A team of investigative journalists with American Public Media, which has documented the Flowers case for its "In the Dark" podcast, examined Evans' use of peremptory challenges in more than 418 trials going back to 1992. They found that he removed black jurors at a rate 4.5 times higher than white jurors. 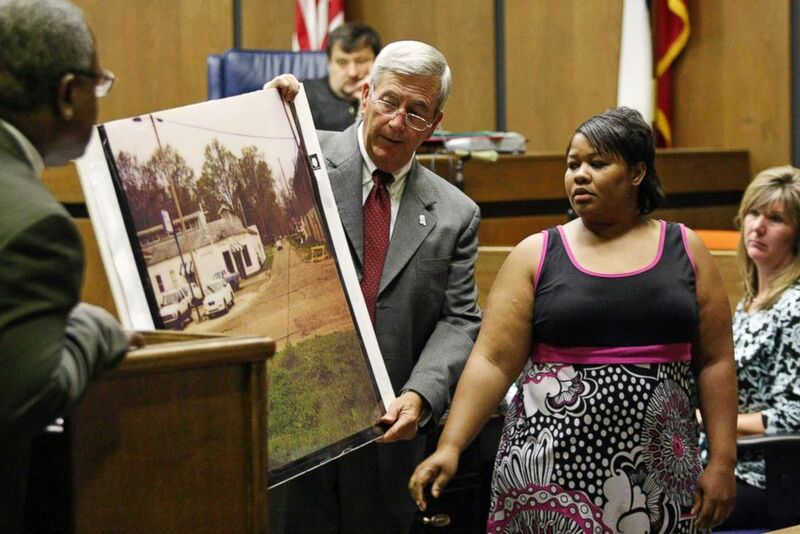 (Taylor Kuykendall/AP, FILE) Clemmie Flemming points out where she spotted Curtis Flowers the morning of July 16, 1996, after four slayings occurred at Tardy Furniture in Winona, Miss., June 14, 2010, in Greenwood, Miss. "Even a cursory review of the record demonstrates that the State's articulated reasons for the strikes was not racially motivated," Mississippi's lawyers write in their brief to the high court. 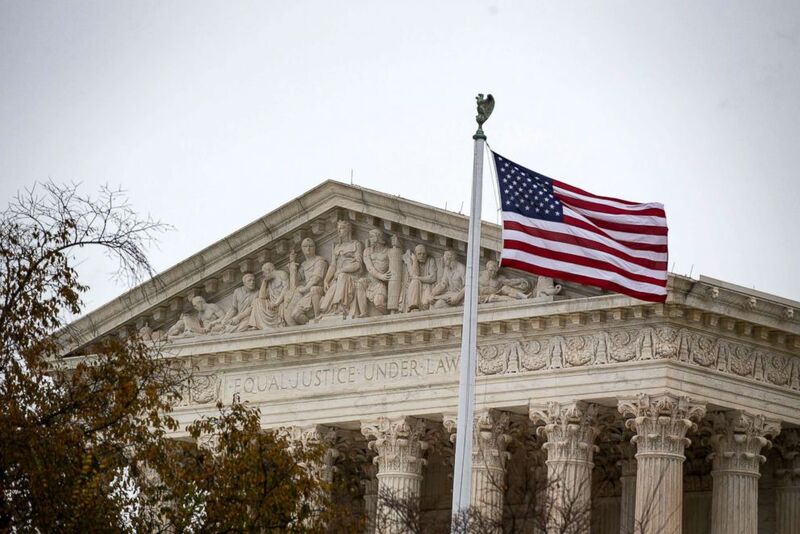 The state says the justices should keep a narrow focus on the detailed explanations given for peremptory challenges used in the most recent trial. "Each juror was questioned based on their respective responses and the race-neutral reasons provided are commensurate with the mandate of this Court," they wrote. (Al Drago/Reuters) The Supreme Court in Washington, Nov. 13, 2018. "The law's anti-discrimination command and a peremptory jury-selection system that permits or encourages the use of stereotypes work at cross-purposes," Justice Stephen Breyer wrote in a 2005 opinion. And the court's newest justice, Brett Kavanaugh, wrote in a 1989 Yale Law Journal article that rationale given for peremptory challenges where race might be a factor must be closely scrutinized by judges. "'Any prosecutor can easily assert facially neutral reasons for striking a juror, and trial courts are ill-equipped to second-guess those reasons,'" Kavanaugh wrote, quoting the late Justice Thurgood Marshall. The court could uphold Flowers' conviction, implicitly endorsing Evans' use of peremptory challenges in this case. It could also strike it down, requiring lower courts to look again at the prosecutor's pattern of behavior as an important factor in evaluating fairness in the jury selection process. "I'm not going to say I killed someone when I didn't," Flowers said in 2010, according to Rolling Stone magazine. "I would rather be executed and go to Heaven and know I did the right thing that to be in this world if I have to admit to something I didn't do."